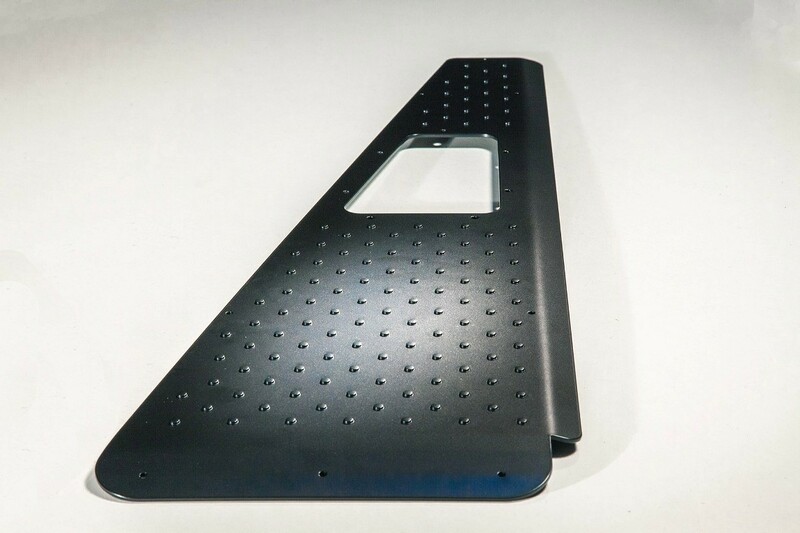 Wing protection plate, black powder coated for your Land Rover Defender. 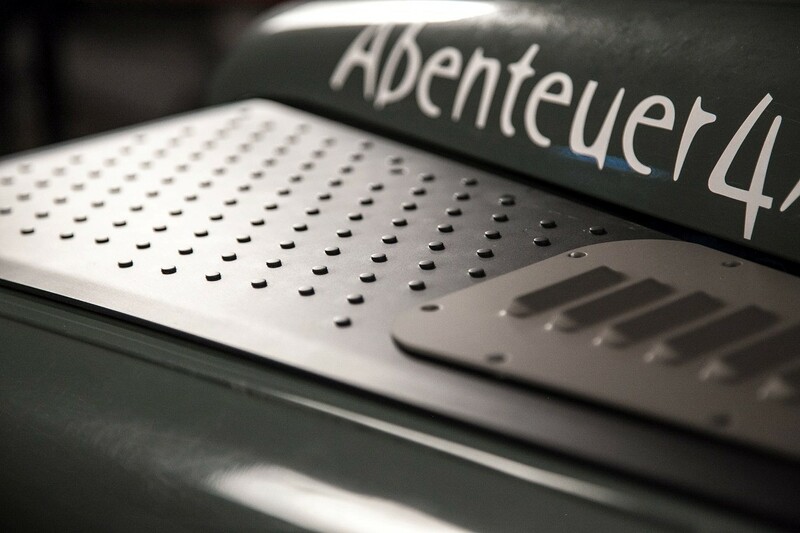 Made in Germany from 3mm aluminium with pulled knobs for a safe and stable stand. 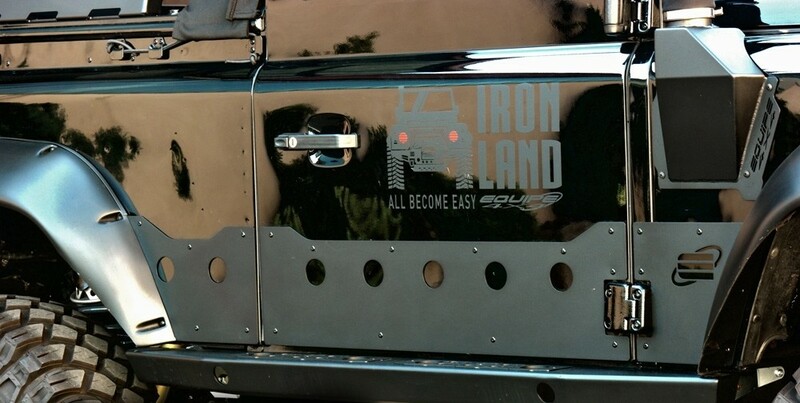 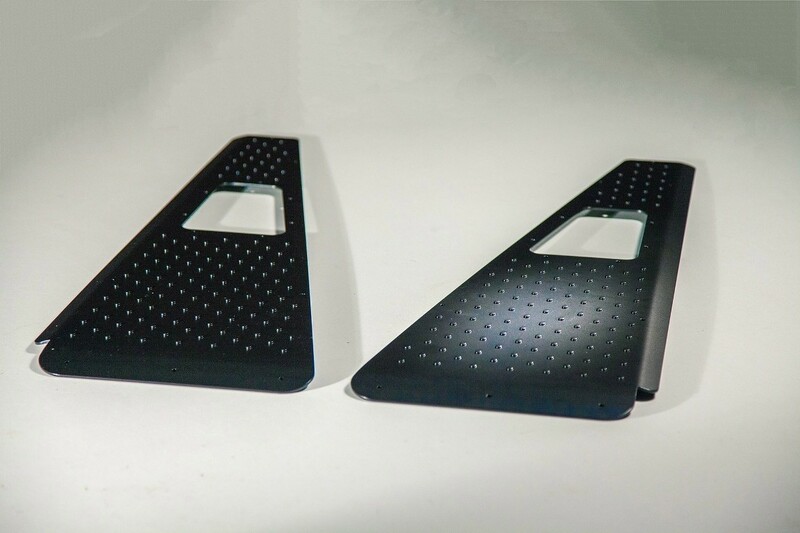 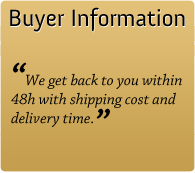 Wing protection plates, black powder coated for your Land Rover Defender.